Great Location! 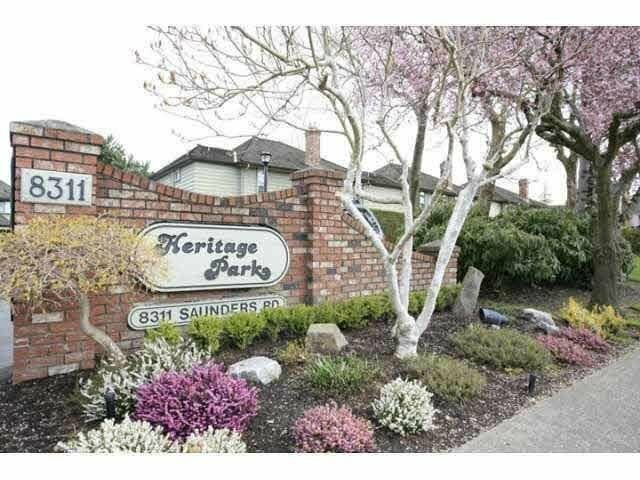 Bright & Spacious townhouse in "Heritage Park". Well kept townhouse with functional layout. 1,443sqft of interior living space, 2 storey, 3 bedrooms above for privacy, huge master bedroom with ensuite and storage, living room on the main floor with 9' ceilings, fully equipped kitchen, skylights, spacious patio, 2 parking. Central location, minutes to Richlea Square Shopping Centre, South Arm Community Centre, and public transportation. Good school. catchment.